Members of the community are being invited to join Council’s Waste Strategic Working Group. Members of the group will meet over the next 12 months and offer input on the future of waste management services, facilities, recycling and more. The consultation process will culminate in the delivery of a 10 year waste management strategy, which will guide Council’s waste management activities into the future. 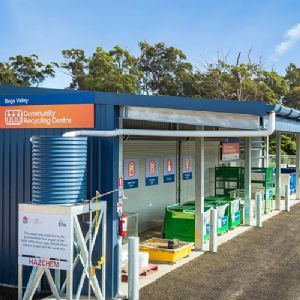 Council’s Waste and Recycling Manager, Toby Browne said that Council wants to incorporate the values, concerns and aspirations of the Bega Valley community into this important strategic planning document. “There are significant opportunities for us as a community to recycle and recover more resources from the waste stream,” Mr Browne said. The Waste Strategic Working Group is scheduled to start meetings in early May, interested members of the community can download an expression of interest form now from Council's website. Applications close on Wednesday 12 April.